My clients often bring one of their wedding invitations to the wedding so that I can photograph it for them. Then I can include a photo of it in their albums, and if something ever happens to the physical invitation while in storage, at least they'll have the photo to remember them by. 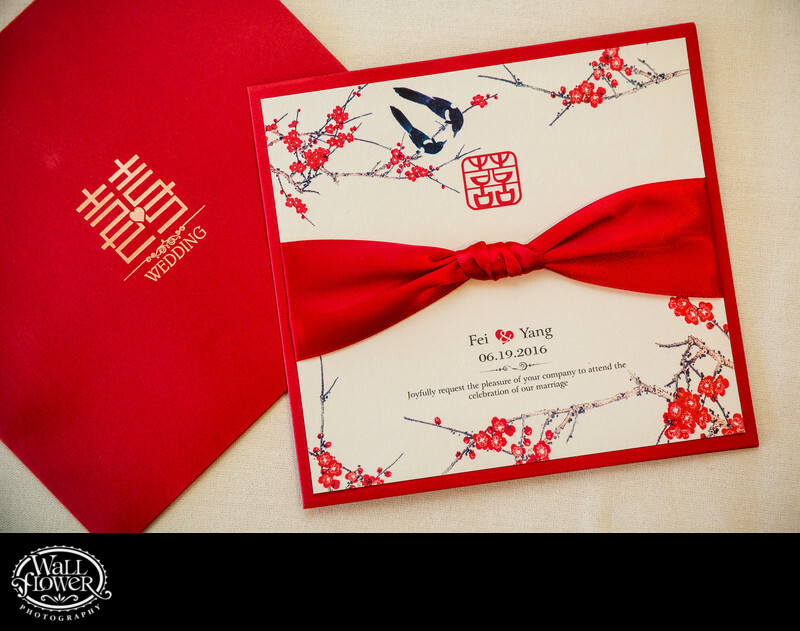 This pretty invitation, pictured along with its envelope, was for a Chinese-American wedding at the Seattle Tennis Club.